The Social Media Strategies eCourse is intended for people who are looking for effective ways to use their social media platform to increase engagement and income while growing their following. 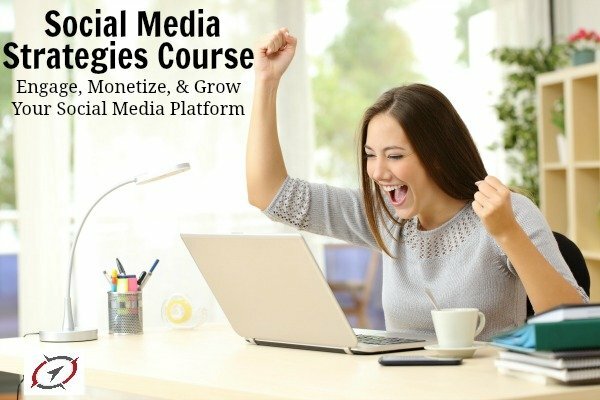 Each module focuses on a major social media platform and contains 5 – 6 lessons sharing ways to increase engagement and click-through-rate, identifies ways to monetize that platform, shares tips for gaining followers that will like the type of content you create, and sanity-saving scheduling tips. The 4 modules contain easy-to-follow video tutorials and actionable steps that you can begin taking today on your social media accounts. The course includes over 50 screen-shares walking you through how to implement the strategies in each lesson and weekly Q&A sessions to address any questions that you have on implementing the processes on your accounts. If you experience any problems purchasing this course, please email me at [email protected] and I will help you resolve the issue. After purchasing, be sure to check your spam folder for emails from Strategic Blogging Academy and be sure to white list us, so you don’t miss out on any of our lessons or meetings.